When you ask someone what they would do if money was no object and they didn’t have to work, tend to one they’ll say that they want to travel. Young Adults and College students are no different. We seem to have this desire to explore the world and all of it’s varying cultures. There are two main things that stop people from traveling, they don’t have time and it’s too expensive. Well I’m here to tell you that neither of these are true. It may seem impossible, but by setting goals and staying focused traveling is an easy feat. First things first, pick a place. Secondly, set a budget and start saving. This could be as simple as saying you want to go to Florida and you’re going to save up change in a coffee tin. Traveling is extremely important no matter what kind of income you have and what age you are. To experience the world wonders you have to take a leap of faith and enjoy every minute of it. Building a bucket list is exciting and crossing something off of it is exhilarating. You can find my bucket list here for some ideas! Below I will be sharing with you how and why you should be traveling right now! Traveling while your young has countless benefits. Here are a few tips to help you explore the world and a few reasons why you need to travel! 1. Get a part-time job or learn how to side-hustle. Having that extra income is beneficial. But if you don’t have the time or are trying to focus on college side hustling is also an option! Here is a great resource to learn about side-hustling and how to make money doing it! Take a small part of your income from your part-time job or all of your money from side-hustling and put that towards your travel savings. 2. Visit in the off-season. Purchasing flights and hotels is often cheaper if you visit in the offseason. The weather might not always be ideal, but you’ll still be gaining the same great experience. Plus, all the touristy areas won’t be as busy! Traveling with friends means splitting the bill. Sit down and setup a budget together that way your both on the same page about everything! You’ll also be sharing an amazing experience with your bestie that you’ll never forget. 1. Investing in travel is just like investing in education. Great experiences require an investment. You invest in education to better yourself and to gain new skills. Traveling is exactly the same. You need to invest in traveling in order to better yourself and gain a new understanding of the world. There is so much to learn from this world; visit historical monuments or national parks both hold a wealth of information. No matter where you go you will ALWAYS learn something! 2. You’re young enough to be adventurous, but old enough to enjoy the world to it’s full potential. At this point in your life you have a good understanding of the world and are willing to try new and exciting things. You’ll get to experience the world and all of its cultures from a wonderful point of view. You will go into traveling with an open mind and an open heart ready to absorb the world. 3. You have very few responsibilities at home. Specifically if your in college, you don’t have a job back home nor a family that relies on you. You are essentially limitless. There are no BIG responsibilities back home waiting for you. 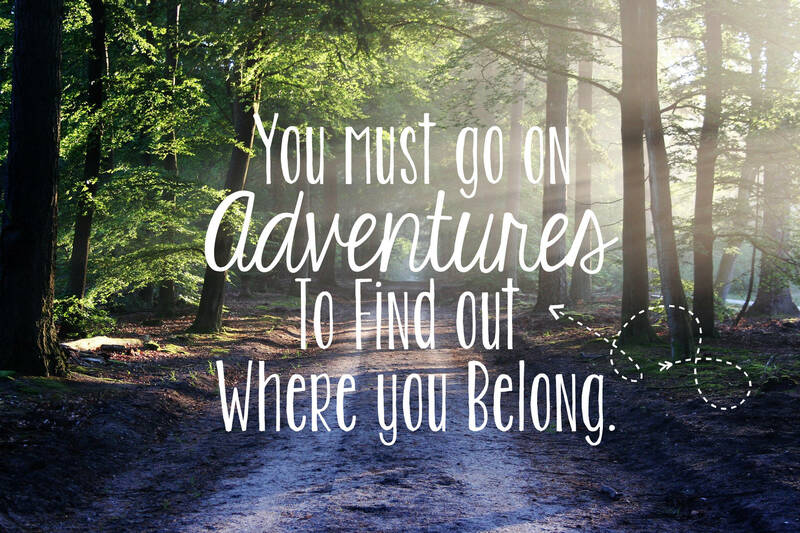 You have the chance to go on adventures and not have to worry about life at home. 4. You will find yourself along the way. You will gain a better understanding of yourself. Traveling allows you to explore the world and with that you explore yourself. You haven’t fully developed into the person you’ll be, people are always changing. Take this opportunity to be affected by the different cultures of the world.